A farmer was also shot dead while working near Gremari village, 13 kms from the state capital Maiduguri. 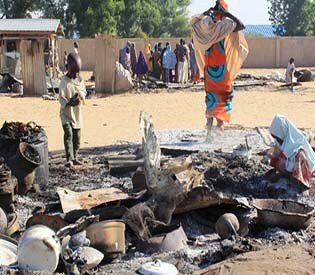 “Yesterday our members recovered 15 bodies from farms around neighbouring Kazaa and Daraa villages who were killed by Boko Haram on Monday,” militia leader Ibrahim Liman told. On Tuesday two jihadists on a motorcycle opened fire on farmers outside Gremari village killing one, militiaman Umar Ari told.